Don’t get me wrong — I’m not suggesting that the name of that one piece of legislation somehow led to the horror of this weekend — but is it really necessary to put the word “killing” in the title of a major piece of legislation? I don’t think that word is in there by accident — my Republican friends know as well as anyone the power of words to send a message. But in this environment and at this moment in our nation’s history, it’s not the message we should be sending. This is yet another example of how liberals routinely claim Republicans are engaging in “dog whistle” rhetoric — supposedly sending coded messages — when only liberals seem able to hear the whistle. How many times have we been told by liberals that various criticisms of the Obama administration’s agenda are inherently racist? Simple mathematics suggest that if you bet on a a particular number on a roulette wheel continually sooner or later it will come up, however if it comes up after you have lost over and over again, it is not proof of your gambling prowess. Having spent some time in Vegas, I can attest to the truth of that. But words are cheaper than casino chips, and liberals had been betting the mortgage on the “Tea Party extremist” meme for so long that, when gunfire erupted in Tucson, they instantly leaped to the conclusion that their lucky number had finally hit. Alas, they bet wrong again. Far from being a right-wing extremist, the guy was an atheist dopehead psychotic who, among other kooky grievances, objected to the “In God We Trust” motto on U.S. currency. And contradicting the pre-fabricated liberal “Palin-Made-Him-Do-It” narrative, it turned out Jared Loughner had been nursing a grudge against Rep. Gabrielle Giffords since August 2007 — more than a year before Sarah Palin became a national political figure. Are these guys being paid to report the news or to write strategy memos for Democrats? Conservatives should set aside for a moment their outrage over what Glenn Reynolds has called the “blood libel” aspect of this narrative — Ann Althouse recounts the sad history of this bogus meme — and see what the mainstream media have actually revealed about their motivations as partisan cheerleaders. The media spent the 2008 campaign shaking their pompoms for Obama, then spent the next two years booing Obama’s political adversaries. Despite this journalistic rah-rah routine, Democrats suffered their worst mid-term defeat in more than 60 years. And now the press corps has seized on this shooting in Arizona as an occasion to organize their first pep rally for Obama’s 2012 re-election. Such blindly one-sided coverage has truly been “a colossal failure of journalism,” but liberals in the media cannot recognize their own partisanship as bias. In their minds, to cheer for the political success of Democrats is the normal, natural sentiment of all decent, intelligent people. Therefore, the mystery to them is the abnormal and unnatural beliefs of those (presumably) indecent and unintelligent people who don’t share their partisan worldview. Because liberals in the media cannot recognize or admit the reality of their own bias — they are not objective about their own non-objectivity — they inevitably act as enablers to those who agree with them. This is why, as Donald Douglas says, progressives actually escalated the blame game after Loughner was revealed to be a psychotic whom high-school friends remembered as having “left wing” beliefs. They were like a gambler on a losing streak, sure that the next number must be black, because he’s already lost $500 when black didn’t come up on the last six spins. There is no one in the media who can tell them that they’re wrong. Any conservative who criticizes them is immediately dismissed as a “hater,” a shill for the right-wing “noise machine.” And any liberal who criticizes them is accused of having betrayed the liberal cause. “Introspection” was one of those MSNBC drinking-game words yesterday — evidently they got the memo from Paul Begala — and yet it never occurs to people like that to look inside themselves and question the root causes of their anti-Republican, anti-conservative, anti-Tea Party prejudices. As I sit here, about 8:30 Tuesday morning, with my office TV tuned to MSNBC, Joe Scarborough is rambling on about Glenn Beck and Michelle Bachmann and Fox News. No matter how wrong his liberal friends have been, Joe knows in his heart that liberals aren’t the problem. No, the real problem is those Republicans who have stubbornly refused to recognize the moral superiority of Joe Scarborough. 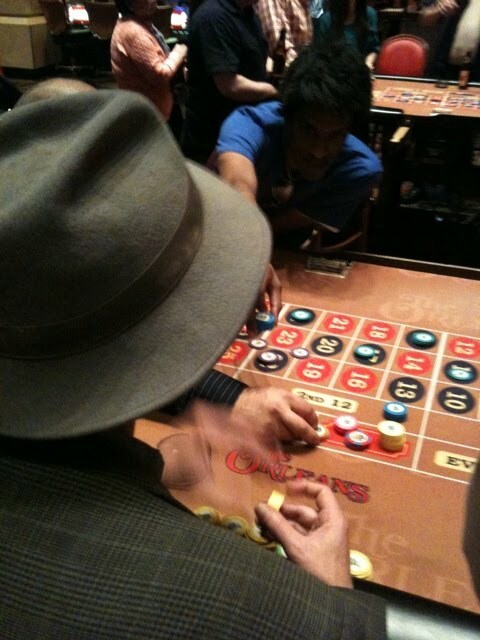 Just bet on black one more time, Joe. Your lucky number is way overdue. And you’ve only got to be right once.
. . . He did not act alone. You were right there with him. You helped. . . .
You got what you wanted. I hope you are pleased. And yes, I’m talking to you, Sarah Palin, you unutterably disgusting fraud. . . .
I’m talking to you, Sharron Angle, you walking punch-line . . .
I’m talking to you, Rush Limbaugh, and Sean Hannity, and Bill O’Reilly, and Michael Savage, and Ann Coulter, and Laura Ingraham, and to every other right-wing tripe-spewing blowhard blogger and Fox News broadcaster. I hope you are proud of yourselves, because this is the day you get to reap what you have been relentlessly sowing since . . .
You really don’t want to know how he finishes that sentence, do you? That’s Truthout.org editor William Rivers Pitt whose e-mail address is [email protected]. He’s just written you a letter, after all, and I believe courtesy requires a reply.